As always, we at WebNX like to stay ahead of the competition. We are among the first Dedicated Server providers to offer the New Intel E5 2600v4 cpu. The new E5 v4 cpu’s utilize the new Broadwell architecture and offer more cores over the 2600v3 series cpu. The Intel E5 2620v4 has 8 cores per cpu at 2.1GHz (16 threads) and the Intel E5 2630v4 has 10 cores per cpu (20 threads) at 2.2GHz. We offer the E5 v4 cpu’s in Dual CPU configurations offering a massive amount of power at an affordable price. The sky is the limit on these Dual E5 CPU setups. 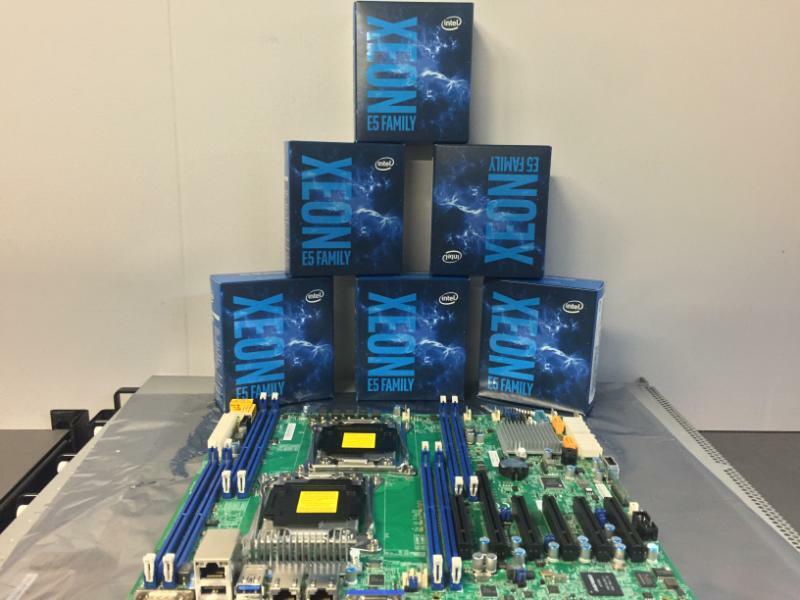 You can custom order your new Dual CPU Intel e5 v4 server today! You can choose from many different configurations. Plenty of new hard drive and Solid State Drive options have been added to the order forms. Be sure to check them out. Dual cpu setups from 16 cores and 32 threads to 20 cores and 40 threads. With support for Intel Turbo Boost Technology, Intel vPro Technology, Hyper-threading, multiple options for virtualization support and more, these new Intel E5v4 processors offer a terrific value. Let us build one for you today! Contact sales@webnx.com for a custom quote.